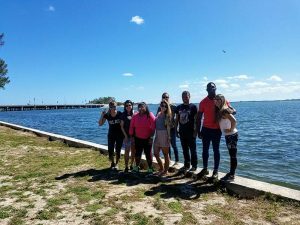 TALK Miami special Spring activities are already at full speed in what is one of the favorite cities for international students learning English in the United States. Beach, yoga, museum trips and volunteering are some of the activities that will make your study abroad experience even more fun. 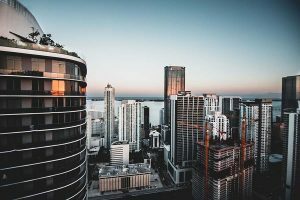 The school is located on the Brickell area of downtown Miami, an area defined by skyscrapers and one of Florida’s most important financial districts. Art galleries, fashion boutiques, rooftop bars and surf n’ turf grills are among Brickell’s attractions. If you like beaches, do not worry: Miami Beach and South Beach are right there! And it’s a consensus that the mild Spring temperatures make it the best season to explore Miami. Learn more about what awaits you at TALK Miami this Spring. TALK believes that volunteering is a great way to get to know your school colleagues and locals better, to practice your English and get involved with the local community. That’s why we have listed the 2019 Earth Day Cleanup with Eden Roc Miami Beach & The Tropics, part of the global event that will take place on April 13th. It’s a great opportunity to learn more about some of the issues affecting the environment and make some difference. The tip for the month of May is the Art in the Park with Marie, an event that takes place at the Miami Beach Botanical Garden and is perfect for families. While children let creativity run wild in arts and crafts sessions, parents can do some relaxing and take care of body and soul by doing yoga in a heavenly and relaxing setting. It is suggested that each family donates US$ 15 for art supplies costs. May 27th is the Memorial Day holiday, which remembers and honors people who served in the United States Armed Forces. The Miami Beach Air & Sea Show, Music Explosion and Fireworks Extravaganza, offers a free public viewing area on the seashore with aerobatic acts and offshore powerboat racing. It’s your great chance to experience all the excitement of celebrating a typical American holiday. 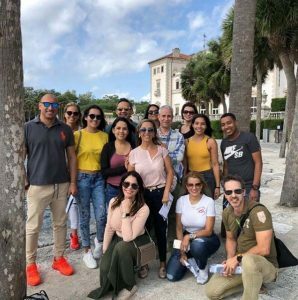 One of the must-see tours in Miami is the Vyzcaya Museum, an early 20th century estate that belonged to the businessman James Deering and includes Italian Renaissance gardens, native woodland landscapes, and some historic village buildings. The museum offers various events, from wine tasting to poetry nights and yoga. Speaking of yoga, until June 20, every Tuesday and Thursday, free yoga classes are offered for people of all ages at Peacock Park as part of the Miami Health & Wellness Months. Nice tip if you need to relax after your classes at TALK! Keep an eye on the calendar of activities. Daniel Fitzgerald, TALK Miami Assistant Director, is available to answer all your questions. And if you’re still thinking about enrolling, get your free quote now and pack your bags for the Spring of your life! 📷 See more photos of TALK Miami students having fun on our Instagram.